Happy Friday friends! I hope you've had a great week. We are finally on the tail end of this icky virus everyone has had. We really didn't venture out much over the past week, other than to the doctor and runs to the pharmacy. But, this weekend we are looking forward to a visit from my Mother-in-Law, and my sister and niece! And, my older daughter is performing in a play with her drama group. It will be her first stage appearance, so that's pretty exciting! I didn't take any pictures of all the ailing bodies around here this week, so I have just a few iPhone shots of a pretty blue sky, our resident sock-eater back to normal after surgery, and some little notes my daughter leaves me. I took a pic so I'd remember them - especially on days when teenage mood swings take over. ;) How was your week? Thank you for visiting! Please link up your posts below. I hope you have a wonderful week ahead! Cool clouds. The notes are sooooo sweet! Beautiful clouds and sky. So lovely. Thanks for hosting and I hope that you have a wonderful weekend. 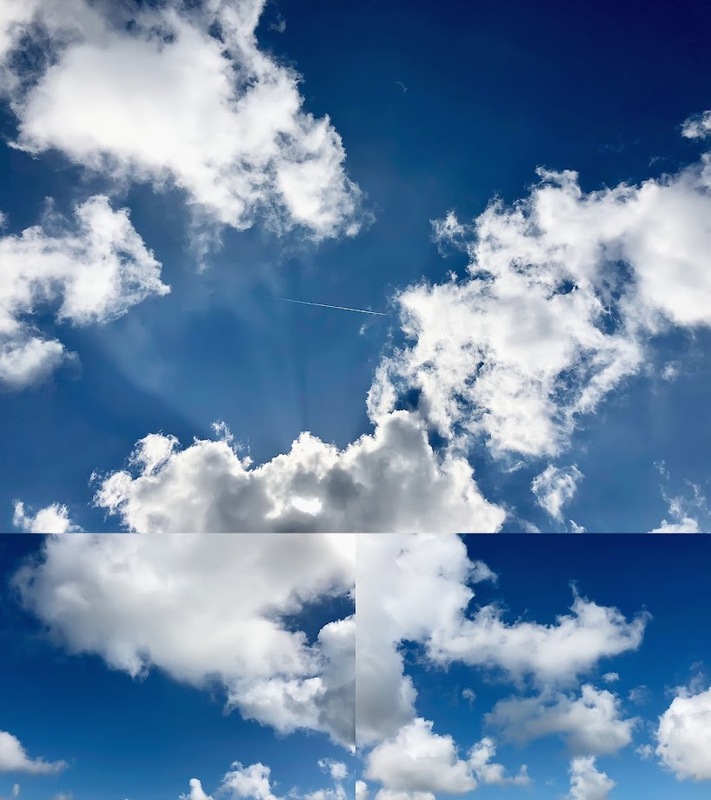 The sky collage photo is very beautiful. Thanks for sharing.